I’ve finally recovered from my trip to Las Vegas in January. OK, that’s not totally true. I’ve finally recovered from sitting through Jersey Boys in Las Vegas. My eyes! My ears! But one thing that was super awesome was my gluten-free belly. Every single restaurant I found myself in had a gluten-free menu, you guys! Every. Single. One. Which is one good reason why even though Vegas is kind of, umm, gross, it’s also awesome! Srsly, every time I go I’m like, “Well, I don’t really like Vegas . . . ” but I wind up having a bang-up time, mostly because of the company I’m in, but also because I keep thinking about how family-friendly Vegas could be and how it would blow the kid’s minds if we took a family vacation to the most surreal place on earth. And the relief that comes from being able to eat safely kind of seals the deal about Vegas being a great vacation spot. 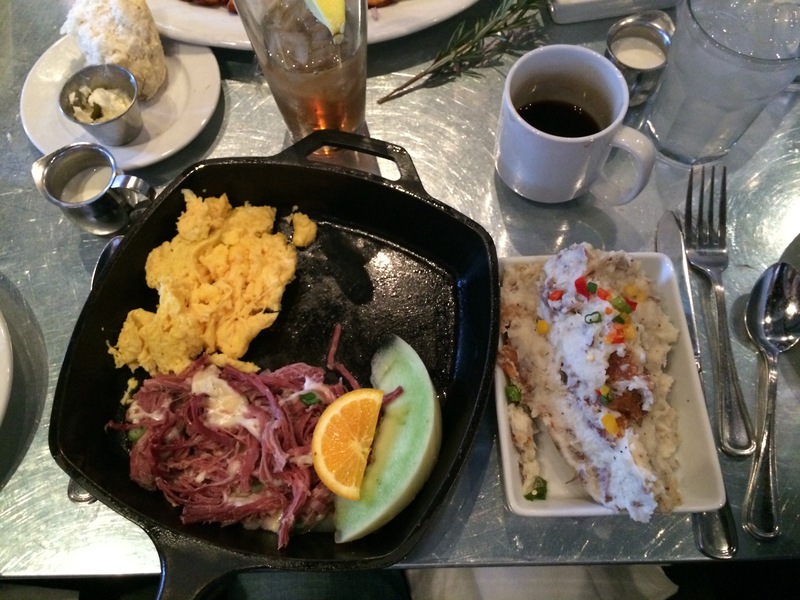 Between the fancy (see above) to the greasy spoon, gluten-free grub is around every corner. That spread up there? That’s from the super fance MGM restaurant, Crush. In addition to the roasted cauliflower and hamachi you see above, I also scarfed down the shrimp risotto. They even have a vegan menu! Now for something completely different, the Black Bear Diner is a local chain with breakfast as big as yo’ head. They also have homemade biscuits that everyone around you will eat and you’ll be sad. Still, check out this skillet full o’ gluten-free goodness. This might have been the best meal I had in Vegas. Corned beef with Swiss with scrambled eggs + a side of mashed potatoes???? Yes, please. Every morning. And that’s how you have a heart attack at age 35. A delicious, delicious, heart attack. 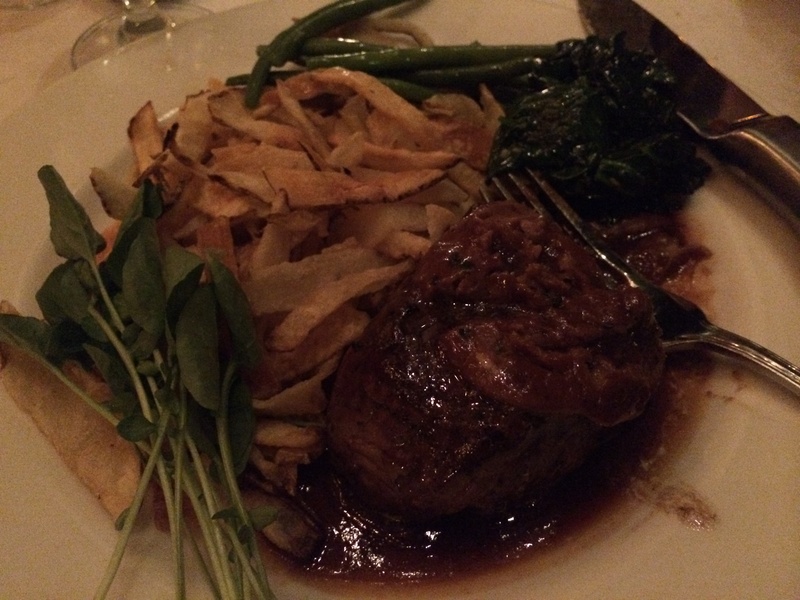 As you all know by now, when it comes to dining out gluten-free, when in doubt I always go with greens and a steak. Mon Ami Gabi in the Paris hotel not only had a gluten-free menu, they had some lovely gf bread for me to chow down on while my friends enjoyed some flaky French-y bread. Sure, it’s not a croissant, but hey, bread! Also I’ve missed that little ramekin of butter hanging out on my table. The steak frite was amazoids and I will definitely go back to that joint. Simple, delicious, safe. So, yeah, I lost some serious cash on the slots (what? I’d have lost much more had I actually played a real game), but I didn’t lose anything into the toilet. Win! 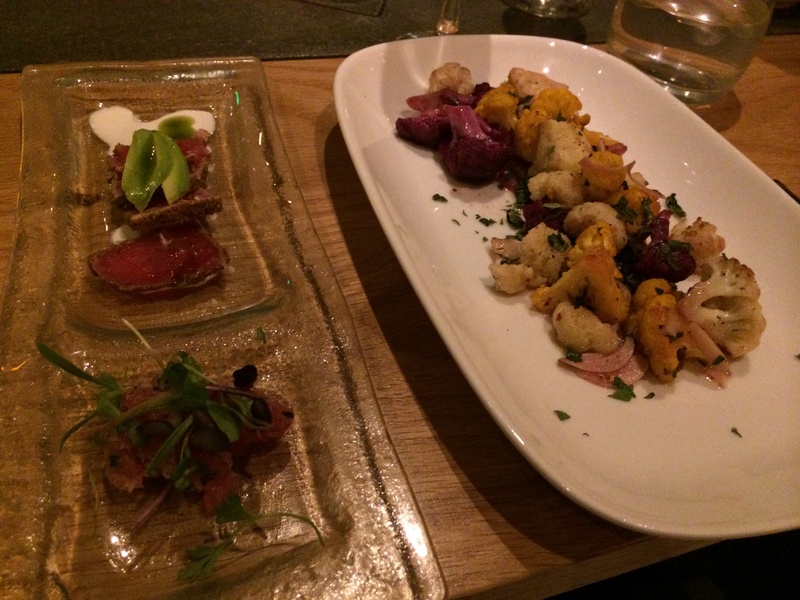 Tags: gluten free dining, gluten free travel, gluten-free las vegas, gluten-free restaurants. Bookmark the permalink. Love the review! I’ve ate at the Mon Ami Gabi restaurant in the Paris Hotel in Las Vegas and loved it. Not only for the delicious French food but because of the awesome outside dining it offers. I went at night (on a date) so it was quite romantic given the fact we were eating in “Paris” with front row seats to the Bellagio water show across the street. Of course, I ate here before being diagnosed with Celiac Disease. If I ever get the chance to go back to Mon Ami Gabi, I’m glad to know it offers a dedicated gluten-free menu plus bread! Vegas is amazingly gluten-free friendly. I stayed at the Wynn in January and was positively DAZZLED by my options. Gluten-free toast at breakfast? Yes! Gluten-free warm-centered chocolate cake for desert? Absolutely! Servers were knowledgable and cool about it, and I ate better than I have in ages. 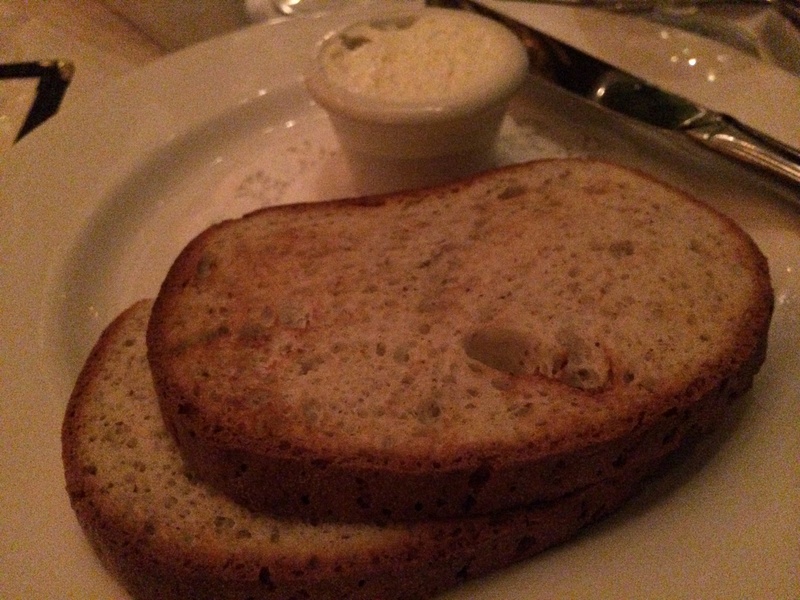 I had a fantastic meal at Mon Ami Gabi – it was gluten free eggs benedict! SO good. The other fantastic place where I had a great meal was Maggiano’s. I had lobster carbonnara (sp?) over gf pasta. My mouth is watering again just thinking about it. You’re not the first person to shout out Mon Ami Gabi. I think it must be tha gf bomb. Thanks for this post!! I am travelling around california and vegas (from Australia) in a few weeks and I have been quite concerned about trying to find food in vegas in particular that isnt steak, mexican or salad.